Wessling, 11.09.2012 - The new series of low angle illuminations offer a cost efficient way to illuminate complex geometries. The two sizes in a combination with five different wavelengths in a CW or strobe mode covers the full range of needs of machine vision. The robust aluminum base acts as an efficient heat sink and provides durable mounting points for a stable integration into the system. 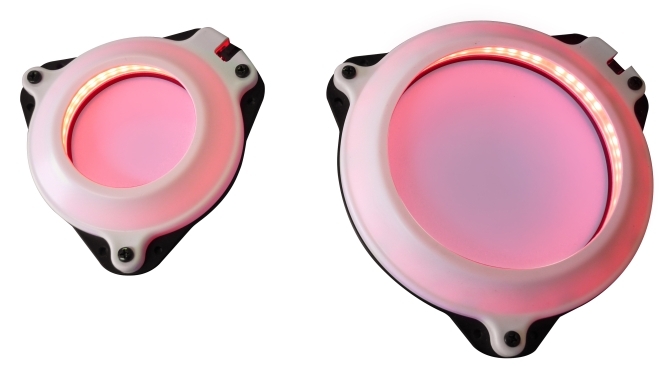 Offering a lot of light, vast configuration possibilities and an attractive price, this low-angle illumination can solve a range of illumination tasks in machine vision.